DETROIT — Fiat Chrysler Automobiles on Thursday posted a 61 per cent gain in fourth-quarter net income to $1.47 billion (all figures USD) along with revenue growth of six per cent to $34.7 billion. 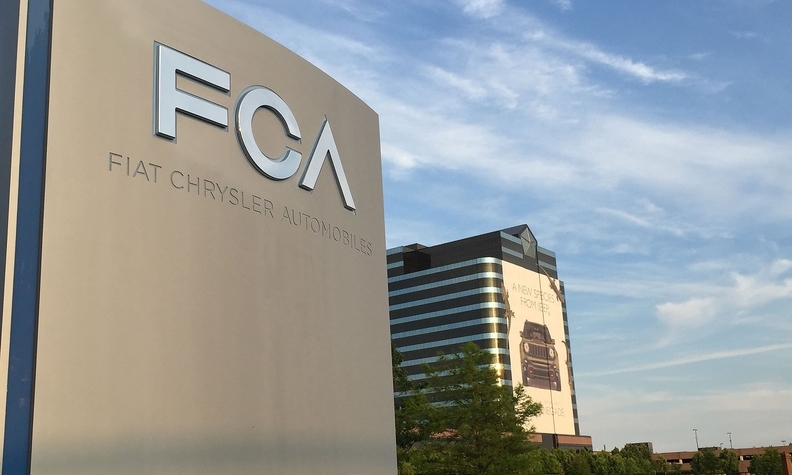 For the full year, FCA's net income rose three per cent to $4.1 billion. FCA said its 44,000 UAW-represented workers in the U.S. will receive average profit-sharing payments of $6,000 -- a $500 increase from the year before -- on March 8. The 2018 profit-sharing payment is based on the company's adjusted earnings performance in North America. FCA said its UAW hourly employees have received more than $29,000 in profit sharing, on average, since 2009. The company said it invested more than $10 billion and created nearly 30,000 jobs in the U.S. in the last decade. Canadian workers, represented by the union Unifor, do not receive profit sharing cheques. The union has no interest in agreeing to profit-sharing. "Our members, on average, make over $5 more per hour than they do with the UAW," Unifor President Jerry Dias said Wednesday, after U.S. GM workers received profit-sharing cheques worth up to $10,750. "So we get $10,000 more per year every year, not just during times of high profitability. I'd rather [have] a guaranteed $10,000 a year." FCA CEO Mike Manley, who took over the company helm from the late Sergio Marchionne last summer, said the automaker comes into the year with “strong product momentum” thanks to the redesigned Ram 1500 pickup that launched last year and Wrangler, along with the upcoming Ram Heavy Duty line that’s slated to launch this quarter and the 2020 Jeep Gladiator pickup that arrives in the second quarter. Manley, speaking on a conference call, said Wrangler production will dip in the second quarter as the Toledo North Assembly Plant in Ohio goes down to prepare for the launch of the Wrangler plug-in hybrid in early 2020. The Ram Heavy Duty, he said, will see reduced output as the company ramps up production of the new model. Manley said the brand learned from its shaky launch of the Ram 1500 in 2018, and is applying those lessons to the Ram Heavy Duty and the Gladiator. Manley said the automaker expects to see some consumer movement from the Wrangler to the Gladiator. “We looked and tried to do as much work as possible to see if we felt that there would be large percentages of substitution between the two vehicles. In our plans, we’re expecting somewhere in the order of 10 to 15 per cent,” Manley said. Meanwhile, FCA shares were down about 10 per cent in Europe because the company issued weaker-than-expected guidance for profits and industrial free cash flow for 2019, raising doubts about the automaker's longer-term financial targets. FCA shares in New York slipped 12.3 per cent to $15.22 in late morning trading in New York. The world's seventh-largest carmaker said in the report that it expected 2019 adjusted earnings before interest and taxes -- excluding the Magneti Marelli parts unit it has agreed to sell -- of more than $7.6 billion, below analysts' average forecast of about $8.3 billion. FCA also said it expects industrial free cash flow in 2019 of more than $1.7 billion, which is lower than the $5 billion reached at the end of last year, due to higher capital expenditures along with cash payments for fines and other costs related to its U.S. settlement for diesel emissions infringements. Leslie J. Allen, Philip Nussel and Reuters contributed to this report.